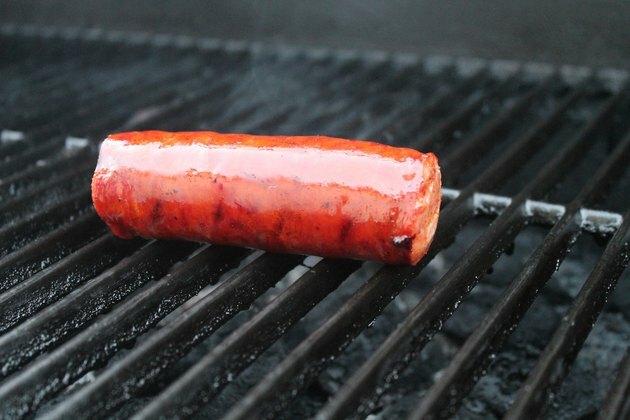 Andouille sausage is a smoked meat typically prepared from seasoned pork and fat. Cajun andouille sausage, one of the two main andouille varieties, is a common ingredient in Louisiana Cajun specialty dishes such as gumbo and jambalaya. Smoked over sugar cane and pecan wood, it is rich in garlic, thyme, cayenne and red pepper and is spicier than other types of andouille. Because commercially available Cajun andouille sausage is precooked, it need only be heated through before eating. Choose a preparation method like grilling, broiling or steaming to keep the per-serving fat content as low as possible. 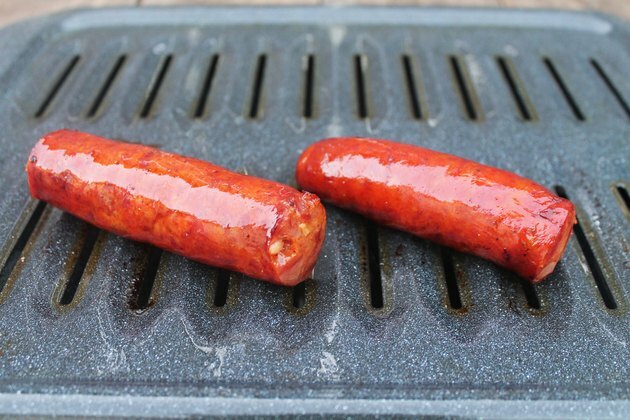 Grill Cajun andouille sausages by brushing the sausages with vegetable oil, then placing them on a prepared grill preheated to high. Use tongs to turn the sausages frequently, allowing them to brown on all sides. Broil the sausages by arranging them on a broiler pan that has been coated with nonstick cooking spray. Preheat the broiler and position the broiler pan so that the sausages are a few inches from the heating element. Allow the sausages to cook until they are browned, using tongs to turn them after several minutes. Steam Cajun andouille sausages by bringing a saucepan of liquid -- broth or beer or a combination -- to a boil. Take the pan off of the heat, put the sausages in the liquid and put the lid in place. Remove the sausages after 10 to 15 minutes. Avoid using a fork to handle Cajun andouille sausages. 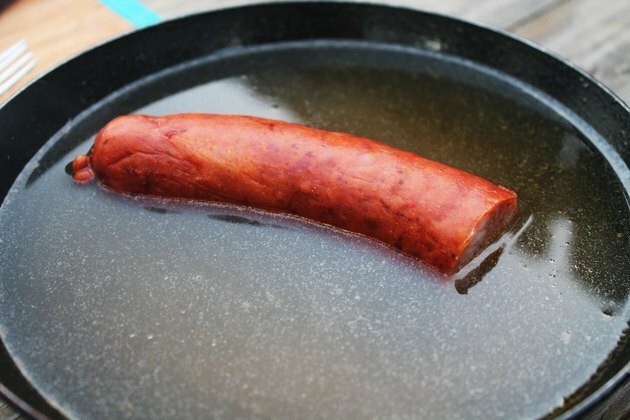 If the sausage is pierced, you'll lose the juices that accumulated during cooking. Beer is a traditional accompaniment for sausage. The National Hot Dog and Sausage Council recommends pairing Cajun andouille sausage with a stout or porter. 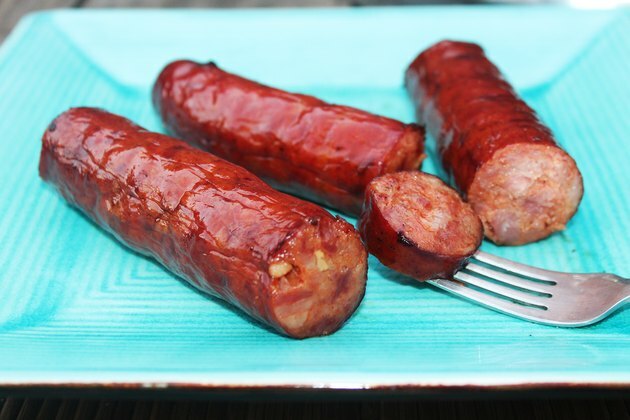 Cajun andouille sausage is high in sodium, cholesterol, total fat and saturated fat. Eat it only occasionally and in moderation.